Oracle E-Business Suite (EBS) version 12 is an internet-enabled product that can be managed from a single site. Version 12 is current as of 2018. A company can operate a single data center with a single database, similar to other ERP products. The suite was launched in February 2007 and contains a number of product lines which users can implement into their own businesses. 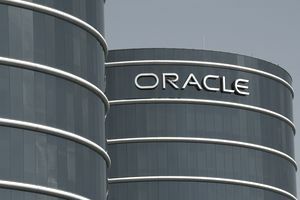 Oracle EBS includes the company’s enterprise resource planning (ERP) product as well as supply chain management (SCM) and customer relationship management (CRM) applications. Each application is licensed separately so companies can select the combination that is suitable for their business processes. The applications found in the Oracle EBS include Oracle CRM, Oracle Financials, Oracle Human Resource Management System (HRMS), Oracle Logistics, Oracle Supply Chain Applications, Oracle Order Management, Oracle Transportation Management, and Oracle Warehouse Management System. The Oracle CRM application provides front-office functions which help businesses to increase customers and customer loyalty and satisfaction. The basic functionality includes marketing, order capture, contracts, field service, and call center functionality. The CRM application also includes internet-focused products such as catalogs, content management, and quote and order management. The Financials applications include General Ledger, Cash Management, Payables, Receivables, Fixed Assets, Treasury, Property Management, Financial Analyzer, and a self-service expenses function. The HRMS application helps companies manage the recruit-to-retire process. The application gives users a real-time view of all HR activities, including recruiting, time management, training, compensation, benefits, and payroll. The HRMS suite integrates fully with the other EBS applications and supplies users with an analytics package that allows the extraction of HR data with ease. The logistics module allows users to plan, manage, and control the flow and storage of products and services within a business. It provides information to plan future demand and safety stock within the warehouse. The application can create detailed, constraint-based production schedules and materials plans. Supply chain applications power information-driven supply chains. Companies can predict market requirements, innovate in response to volatile market conditions, and align operations across global networks. Oracle offers industry-specific solutions that include product development, demand management, sales, and operations planning, transportation management, and supply management. Order management applications can streamline and automate a business’s entire sales order management process, from order promising and order capture to transportation and shipment. Order management also includes EDI, XML, telesales, and web storefronts. Some of the business benefits that can be achieved include reduced fulfillment costs, reduced order fulfillment cycle time, increased order accuracy, and greater on-time delivery. Transportation management (TMS) provides transportation planning and execution capabilities to shippers and third-party logistics providers. It integrates and streamlines transportation planning, execution, and freight payment. The TMS function delivers functionality for all modes of transportation, from full truckload to complex air, ocean, and rail shipments. The benefits of the TMS function include reduced transportation costs, improved customer service, and greater asset utilization. Oracle’s Warehouse Management System allows the coordinated movement of goods and information throughout the extended distribution process. The module provides business processes that can deliver efficient utilization of employees, equipment, and space in the distribution process. Benefits include an acceleration of the flow of products through the supply chain while reducing lead times and releasing working capital, real-time inventory management, cross-docking, pick-by-line, advanced ship notices (ASN), inbound planning, and yard management. Oracle’s ERP product is second only to SAP's planning software in sales, and its best-of-breed solution can be found in thousands of companies across the world. The applications that are included in the E-Business Suite cover the wide range of business processes that are found in any company. The industry-specific solutions supplied by Oracle can reduce time and resources required to implement the solution and provide businesses with configured business processes that will improve overall effectiveness.